For my first blog as a student cook I felt it only appropriate to begin with an ingredient that is one of the main, and perhaps often the sole, occupier of the student store cupboard: Pesto…usually found with the obligatory bit of mould on the top that is swiftly scraped off. 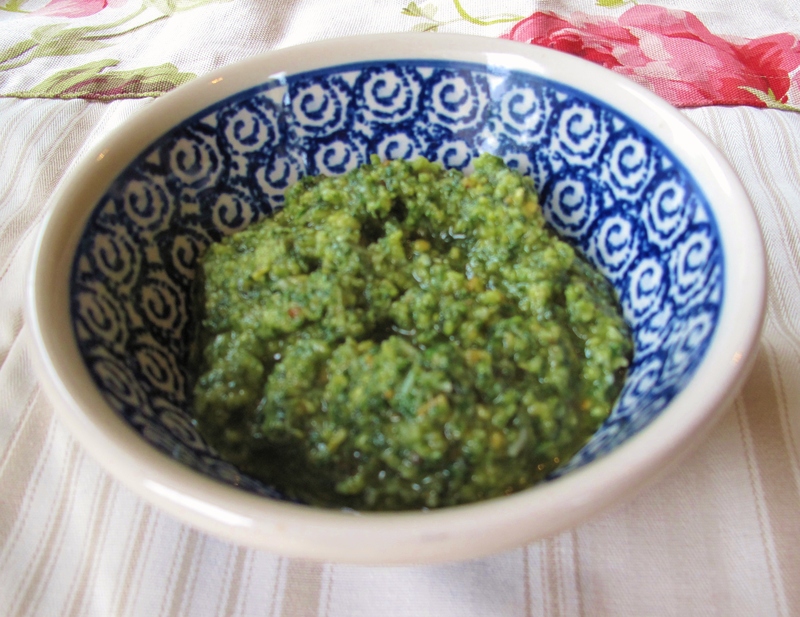 However, for two reasons this week I went upmarket and instead of the shop-bought jar I made home-made pesto. Firstly, having returned home for the summer from my student house, where finding a potato peeler is the utmost luxury, a fully equipped kitchen is a novelty. I am having somewhat of a love-affair with my blender in particular. Sad, I know. Secondly and more importantly, I felt it was time to split pesto up from its usual pairing: Pasta and Pesto. Though there is no denying that this simple partnership is up there with the greats- bangers and mash, fish and chips, Sonny and Cher-it seems only fair to let it play the field a bit. Home-made pesto has so much more flavour and depth than the jars that it is delicious used simply drizzled on salads, or in pitta with tomatoes and mozzarella. 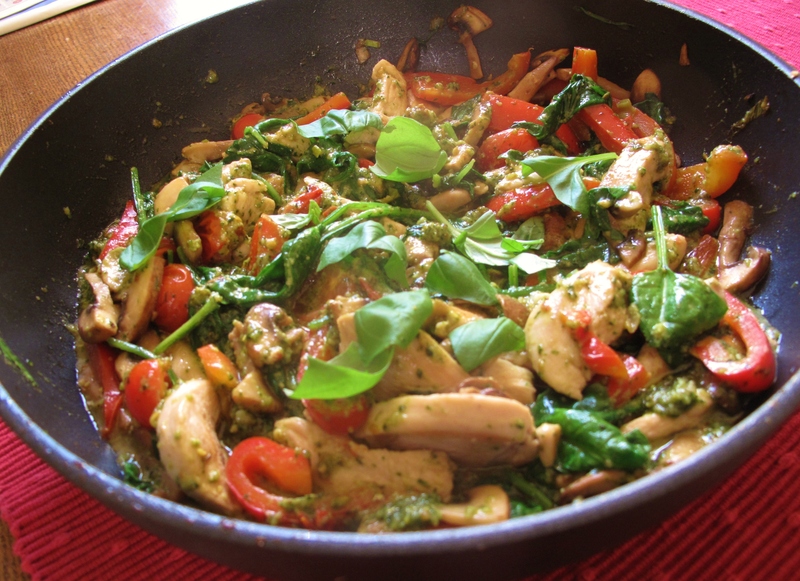 Below is a recipe that makes full use of the pesto, that is very healthy from all the vegetables, and great for a summer supper: Summer pesto stir-fry. 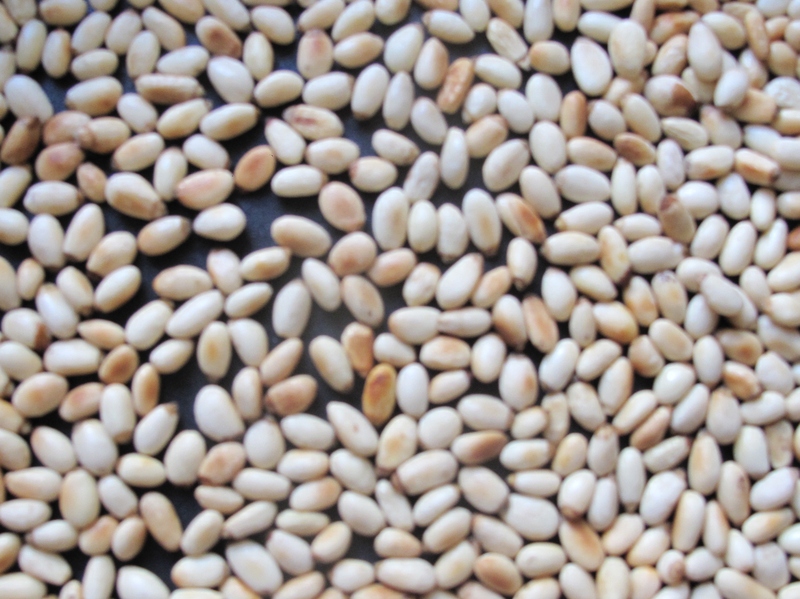 Start by toasting your pine-nuts. Place them in a frying pan and onto a medium heat. Watch them carefully! The toasting can happen fairly suddenly so watch like a hawk to avoid them burning; you want them a light brown colour. 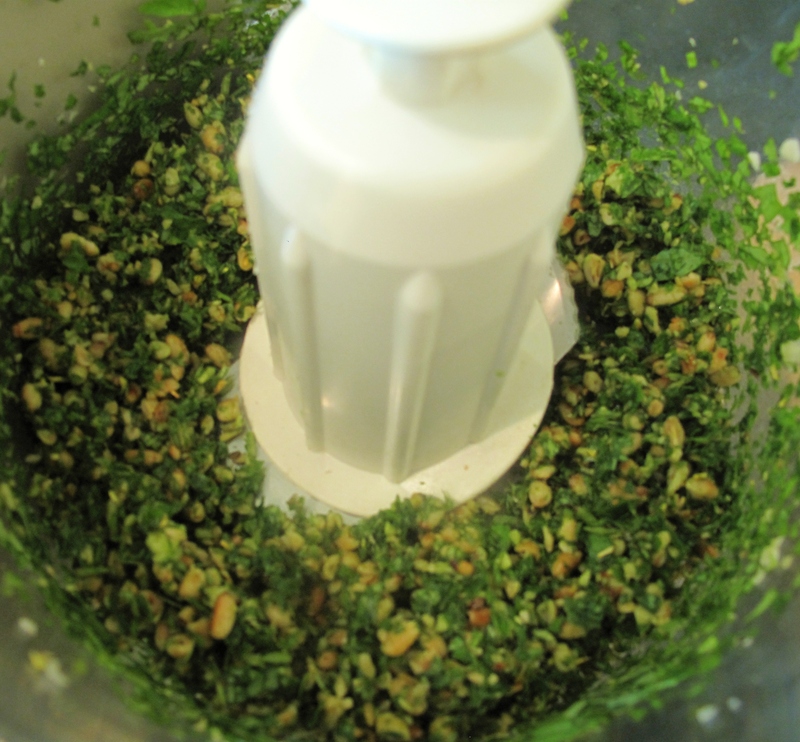 In a blender, blitz the garlic clove, basil and cooled pine-nuts. Once this is finely chopped, scoop into a bowl and mix in the Parmesan. Slowly pour and mix in the olive oil until you are happy with the consistency; I find about 4 or 5 tablespoons is good. Home-made pesto is also brilliant as you can play around with it as you like, things like sun-dried tomatoes and olives are great blitzed in. As you can see the amounts I give for the ingredients are vague: I’m afraid I rarely measure/ weigh accurately for meals like this, feel free to add more or less of certain ingredients depending on what you feel like or who you’re cooking for! This is lovely served with rice, for normal white rice start cooking it once the chicken has been browned. Take a frying pan or wok, slowly heat up about a tablespoon of olive oil, then add the chopped chicken and fry until it’s golden. Remove the chicken from the pan and set aside. Add another spoon of olive oil, then fry the spring onions, red pepper, mushrooms and tomatoes until soft. Add the spinach, it will wilt down fairly quickly, then add back the chicken. Next, spoon in the pesto and mix. I like about 3 large tablespoon of it, but add as much or little as you like. Continue cooking on a low-heat for a couple of minutes until it is piping hot then serve and enjoy! This entry was posted in Rice, Pasta, Risotto, Vegetarian. Bookmark the permalink.